I can imagine the amount of new study and new theroes this will bring now... I was trying to like of a witting comment and comparing this to some other thing (like the invention of the wheel or even the invention of the telescope)... but nothing compares to this.. wow !! Lol, Now You know why Sheldon wanted to quit working on String Theory...! He was one incredible dude! It has taken more than 100 years to prove him right on so many fronts, but it is finally happening now, and it is happening year after year. Last edited by ilan; 04-14-2019 at 03:55 PM. He Saved the Best One for Last...! Thanks for Posting that ilan...! No matter where you live, these next few mornings are a grand time to look for the elusive planet Mercury. For all of us, around the globe, Mercury is now below Venus – the brightest planet – in the sunrise direction, before daytime washes the pair from view. The morning of April 16, 2019, will present the closest pairing of Mercury and Venus in the morning sky for all of 2019. On that morning, these two worlds will be around 4 degrees (width of two fingers at arm’s length) apart on the sky’s dome. They’ll be close enough together to fit (or nearly fit) inside a single binocular field. So if you see Venus, but not Mercury, in the sky before sunrise, try aiming binoculars at Venus to view both planets in a single binocular field. For the Southern Hemisphere, April 2019 showcases Mercury’s best morning apparition for the year. The planet will be easily visible to the eye alone, below Venus before sunup. For the temperate and polar zones in the Northern Hemisphere, the view of Mercury in the morning sky isn’t as good. The planet is closer to the sunrise. Use binoculars to scan for it along the eastern horizon before sunup. Then remove the binoculars and try to see Mercury with the eye alone. From anywhere worldwide, it is to your advantage to find an unobstructed horizon in the direction of sunrise for your Mercury search. Look first for Venus – the third-brightest celestial body, after the sun and moon – to blaze mightily in your eastern sky. Then seek for Mercury a short hop below Venus. Keep in mind that Mercury follows Venus into the sky some 15 to 20 minutes after Venus first comes up. 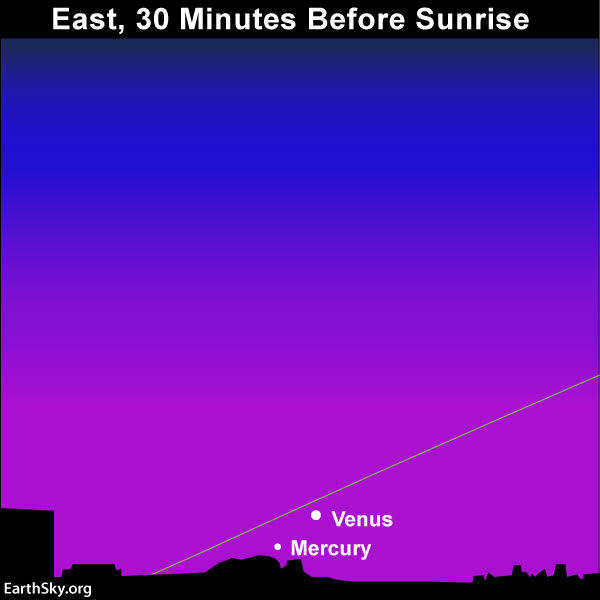 So if Venus is sitting very low in your predawn or dawn sky, chances are that Mercury has yet to rise. Venus’ rising time varies considerably around the world. At far-northern latitudes (such as Alaska), Venus and the sun rise at nearly the same time. From mid-northern latitudes – like the contiguous U.S., Europe and Japan – Venus rises roughly an hour before sunrise. At the Earth’s equator (0 degrees latitude) Venus rises nearly two hours before the sun; and from temperate latitudes in the Southern Hemisphere, Venus rises a whopping 2 1/2 hours before sunrise. Clearly, the southerly latitudes have the big advantage in catching Mercury. 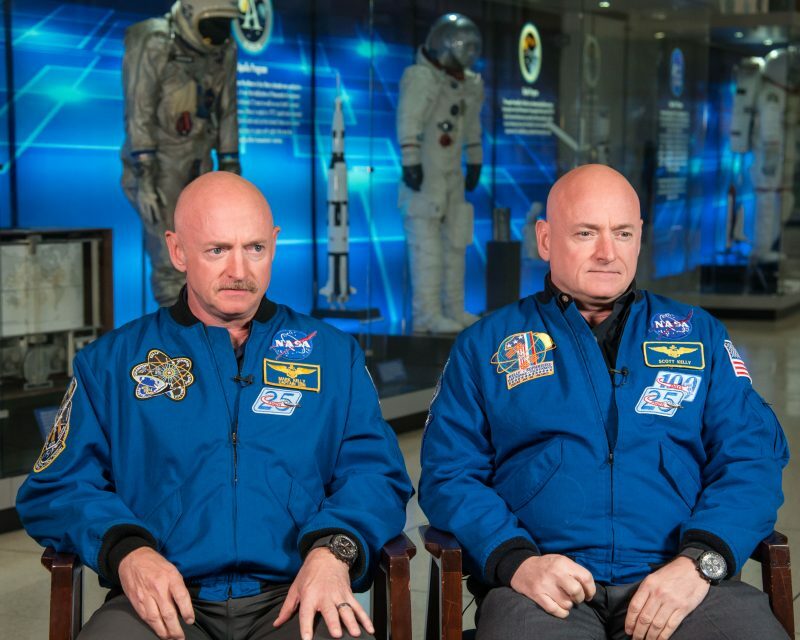 The NASA Twins study – featuring astronaut twins Scott and Mark Kelly – was the perfect space experiment. Scott spent a year in space aboard the International Space Station. Mark remained on Earth. The results? Are space twin Scott and Earth twin Mark no longer identical? Image via Robert Markowitz/NASA. More than 300 biological samples – stool, urine and blood – were collected from the twins at multiple times before, during and after the one-year mission. The Kelly twins are without a doubt one of the most profiled pairs – on or off our planet. They are also one of the most interviewed. 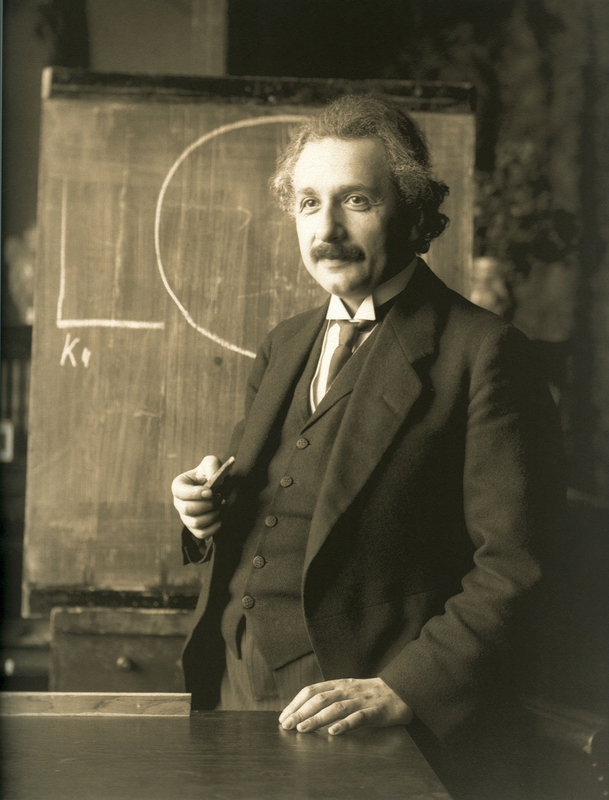 One question often asked is whether Scott will return from space younger than Mark – a situation reminiscent of “Interstellar” or Einstein’s so-called “ target=”_blank”Twin Paradox.” However, because the ISS is not traveling anywhere near the speed of light relative to us, time dilation – or the slowing of time due to motion – is very minimal. So any age difference between the brothers would only be a few milliseconds. Our study proposed that the unique stresses and out-of-this-world exposures the astronauts experience during spaceflight – things like isolation, microgravity, high carbon dioxide levels and galactic cosmic rays – would accelerate telomere shortening and aging. To test this, we evaluated telomere length in blood samples received from both twins before, during and after the one-year mission. Susan Bailey, the author of this article, is a Professor of Radiation Cancer Biology and Oncology at Colorado State University. Last edited by ilan; 04-16-2019 at 02:10 PM. Once again, a space rock has been seen while disintegrating over Russia, this time over the industrial city of Krasnoyarsk, in the south-central region of that country. The video above, from the American Meteor Society (AMS), is a compilation of many dashcam videos captures of the meteor as it sped across the sky in broad daylight over Krasnoyarsk on April 6, 2019. Although the incoming asteroid that produced the meteor is estimated to have been small – about 3.2 to 6.5 feet wide (1 to 2 meters wide) according to calculations – video captures and reports from the International Meteor Organization (IMO) indicate it was very bright. Bright and noisy with a long, sparkling green and yellow tail. It was filmed by multiple observers in Krasnoyarsk region … Some residents said the meteor was blindingly bright, akin to the light and sparks created during intense welding work. It split into several parts before disappearing in the sky somewhere over Irkutsk region, east of Krasnoyarsk. According to NASA, the small asteroid entered Earth’s atmosphere at 40,489 miles per hour (65,160 km/hour) or 11 miles per second (18.1 km/sec). Just recently, an asteroid hit the Earth over the Bering Sea (December 18, 2018) and another fireball was visible over the Krasnoyarsk region on March 15, 2019. Why so many meteors over Russia? About 70 percent of our planet is covered by water, which means a space rock entering Earth’s atmosphere has a 70 percent probability of disintegrating over an ocean. And indeed most of these events do occur over oceans or unpopulated areas, and thus go unnoticed. When an asteroid’s disintegration occurs over land, it can happen anywhere, but there is more probability over Russia given that it has Earth’s most extensive territory. At more than 6.6 million square miles (17 million square km), Russia is by far the largest country in the world. To date, there are no reports that fragments of the April 6, 2019, meteor have been found. However, if any did land, they came down close to the site of the Tunguska Event in 1908 when a meteor exploded in the atmosphere wiping out 80 million trees, with the estimated force of 185 Hiroshima bombs.